Today, Sunday 20 August, a massive protest took place in Hong Kong from Wanchai to Central, before the Court of Final Appeals. The demonstration was organized by several organizations calling to protest against the imprisonment of pro-democracy activists in Hong Kong. Somehow, the size of the crowd must have come as a shock to the pro-Beijing politicians All indications were that most of Hongkongers had basically given up on the activists. This abandonment also happened because of divergences between the partisans of a more radical opposition to Beijing’s grip on the city and “calmer” partisans of a more reasoned approach. For this protest, both camps set aside their divergences to call for unity, but it seems apparent that even the activists were surprised by the crowd. 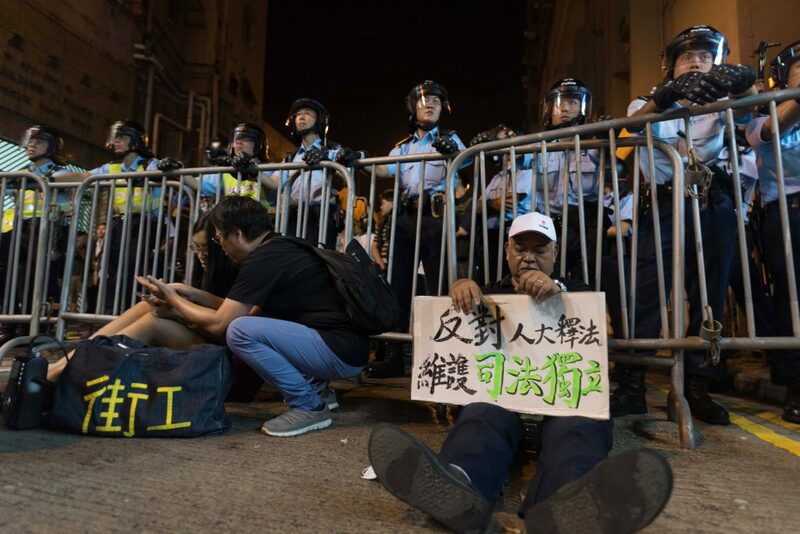 Some of the activists said that they were unable to give a figure for the number of protesters, leaving thus the HK police to number the crowd at a paltry 22,000. That number does not make justice to the crowds marching on Sunday, but then, it was not the crowds of the occupy protests either. The other point to notice as can be seen from the pictures posted, is that the crowd was extremely diverse. It ranged from youngsters to middle-aged or older people. In short, once again, the protest was trans-generational. This testifies to the fears that hongkongers harbour of the end of their freedom at the hands of Beijing. It is also important, because the “occupy” movements failed partly because of the endless continuation of the movement without an exit strategy. At the time, this alienated the more “adult” component of their sympathizers. And that is where heavy-handed tactics such as imprisoning activists may end up rekindling the flame that blew off over the antics of the “protesting kids”. It is however doubtful Beijing will realize that you do not treat a Westernized city the same way as you treat cities which have only known the Communist party. This may set China up for another showdown in Hong Kong. 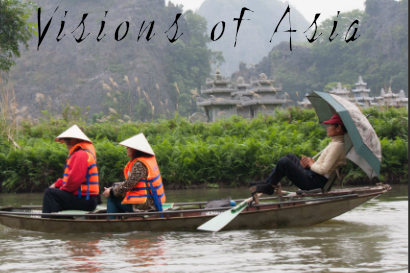 Whichever way, it seems China’s issues with its independent “special administrative region” are far from over, Liaoning and other shows or not. After this post was originally posted, another article came out on the subject of demobilization of democracy activists, here. 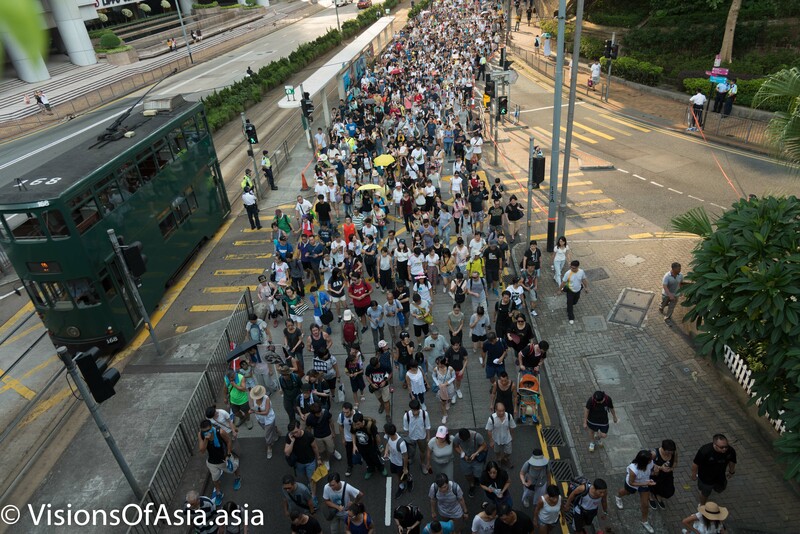 Two years ago, a movement started in Hong Kong, initiated by a group of young students whose energy and determination brought a megalopolis to a standstill from September 2014 to December 2014. Since then, the movement got bogged down in its own indecision and some obvious frustration and hesitation on the proper strategy to follow before Beijing’s heavy-handed response to the movement. Originally, the organisers of the “Occupy” movement had planned a rather conventional tactic of civil disobedience, which included peaceful surrender to the Police (in the straight line of Gandhi’s ideals). These more mature organizers (slightly hippy in their ideology) were immediately overtaken by more extreme movements, mainly composed of students who pushed to occupy public space and to confront police forces. The “heavy-handed” tactics (although many would call them pretty light) of the HK police, drew out a larger crowd in support of the movement across the HK society. This was the origin of the “umbrella movement” name, after students used umbrellas to protect against pepper spray., which ended up occupying central areas of Central, Causeway Bay and Mongkok. The main success was mediatic, where Western mainstream medias published adoring columns on the movement, without any critical reflection on the failings of the movement, its opacity and its fragmentation. The lack of a central leadership and contradictory expectations within the very fragmented leadership of the students brought them to a tactical and strategic standstill, where the occupation became a goal in and by itself, and where other more irrelevant goals, such as homosexual marriage grafted themselves on what was originally a demand for “real universal suffrage”. This indecision, the refusal of the leaders of the protests to dissociate from more radical members and an extension without end of the protests brought gradually to a fall in public support and even anger at this movement. For the poorest part of the population, the occupy movement was extremely disruptive and even harmful. 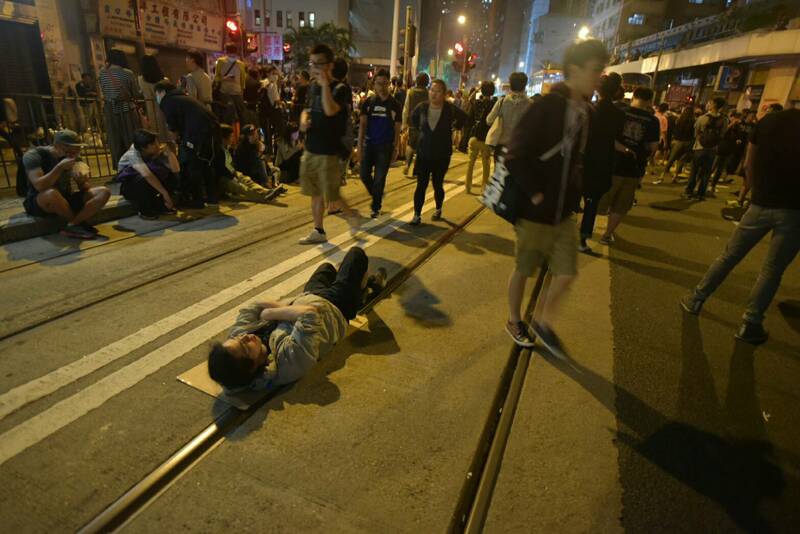 In the end, by December 2014, the HK police cleared without too much opposition the last barricades. The student “leaders”, although still cherished by Western medias, face a return to normality that very few appreciated. In November 2016, for a short while, the “Occupy” embers flared up again, on the occasion of the destitution of two members of the Legislative Council for making some rather Childish jokes around the Oath to uphold the basic law of the Special Administrative Region of Hong Kong (one of them using some foul language while taking the oath). While on the merits, I could not understand why some people would stand to be members of a parliament if they don’t accept its rules, on the form, this betrayed a lack of strategic intelligence. Students again took it as an occasion to protest. Violence, this time, was clearly more on the forefront, some students carrying bricks to throw on the police. At the same time, while there was a minority of older hongkongese on the protest, the majority of the population stood quite far away and didn’t come to support the students. 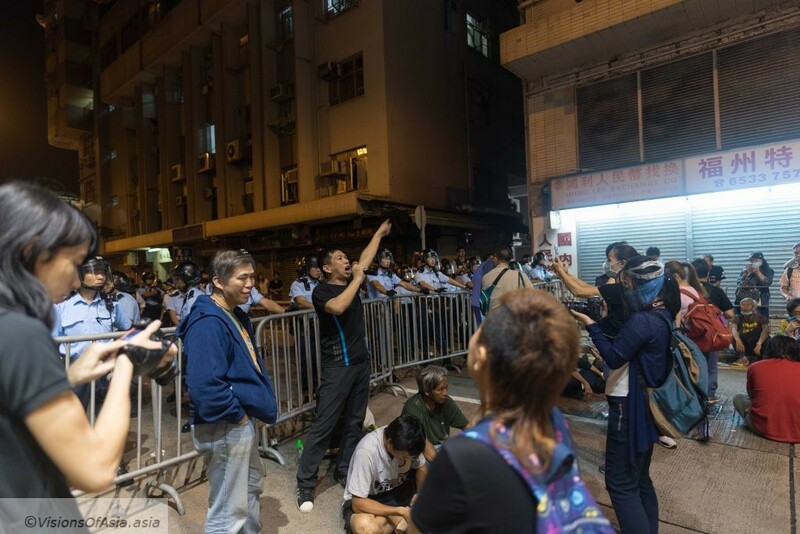 After some short clashes with the police the uproar around the “Oathgate” also dissolved into thin air, and today, on the eve of the 20th anniversary of the handover to China, all that is left are the lonely “leaders” trying to do some mediatic stunts by themselves. The most laughable part probably being the dissenting “lawmakers” being obliged to reimburse the salaries they had paid themselves and their staff on LegCo funds. You don’t express civil disobedience and at the same time take the money from what is ultimately in their view, the organ of Beijing. Hong Kong has instead become much more the focus of the less benevolent attention of Beijing, with an increasing curtailing of public freedom and an ever-present reminder that Hong Kong is part of China. Where the students probably failed greatly, was in failing to acknowlede that there is an ethnic Chinese component to being a citizen of HK. A passport of HK is only granted to people who are “Chinese by descent”. That alone should have reminded the students they were Chinese after all. Similarly, mastery of English in the younger generations has slipped dramatically, and the dominant language at home, at work and in daily life is Cantonese. With these factors, refusing to acknowledge the fact that Hong Kong is not any more the city it was under the British rule is refusing to acknowledge reality. With more mainland immigration and deeper presence of China here, you can expect the identity of Hong Kong to become gradually more identified to China, all the more as HK medias are being one by one bought by mainland firms. The most striking such acquisition (and the total change of editorial line to becoming a Beijing mouthpiece) happened with the purchase of the South China Morning Post by Jack Ma (Alibaba’s owner) in late 2015 (see his interview here). In these ways, Hong Kong is already part of China, but refuses to acknowledge it. What stays unique to Hong Kong is probably the exceptionally caring attitude of its residents. I must say that time and again, I keep being surprised with the kindness and helpfulness of Hongkongese people. In that, they are unique and not quite Chinese.